Nuzzled right in between Egypt and Sudan lies Bi'r Tawil a 2060 sq km unclaimed territory that was the result of a colonial-era border discrepancy. Bi'r Tawil is one of the last remaining unclaimed territories in the world—that is, until a Virginia man took it upon himself to trek out there and lay claim to the territory himself. His purpose? To fulfill a promise to his 7-year-old daughter that she could be a princess. 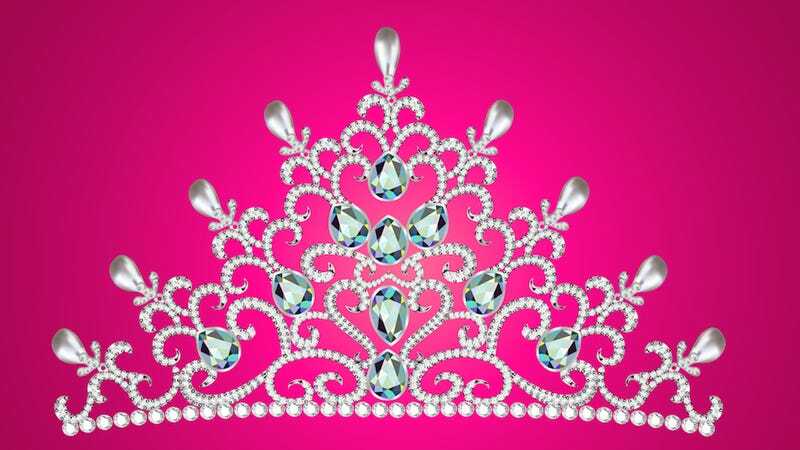 Jeremiah Heaton says that while playing, his daughter, "in all seriousness" asked if she'd be a real princess someday, and he told her she would. Basically Heaton had no choice—oil's not like any other 7-year-old girl has ever been very set on being a princess. So in June he got permission from Egypt (who more or less administrates the land that boasts a population of zero), to take a 14-hour caravan where he planted the Heaton kingdom flag in Bi'r Tawil. Heaton named the land the Kingdom of North Sudan, after consulting with his children. "I do intend to pursue formal recognition with African nations," Heaton said, adding that getting Sudan and Egypt to recognize the kingdom would be the first step. Wait wait wait. This dude is serious. This dude is serious!?!? Uh, this dude can't be serious. "I feel confident in the claim we've made," Heaton said. "That's the exact same process that has been done for thousands of years. The exception is this nation was claimed for love." Heaton said his children, Emily, Justin and Caleb, will be the drivers for what happens with the new nation. "If we can turn North Sudan into an agricultural hub for the area ... a lot of technology has gone into agriculture and water," he said. "These are the things (the kids) are concerned with." I mean, technically the dude is onto something. I mean white people definitely have been staking their claim on land for hundreds of years—and those places already came with developed societies and resources and economies! So really, Heaton's got way more work cut out for him. I'm sure Egypt, who is experiencing Islamist unrest in the wake of their um, revolution and Sudan, who recently just released a woman they previously sentenced to death for converting to Christianity, would be more than happy to take the time out to recognize a 7-year-old American girl as the princess of a piece of land that no one particularly cares for. And even though Shelia Carapico, professor of political science and international studies, says that planting a flag doesn't grant political control without the acknowledgement of other countries or groups like the UN (especially when no one knows if someone else already has some type of ownership), it's clear that the most important thing here is that Heaton has ordered official North Sudan letterhead with the country's seal. It doesn't get more official than letterhead. Also Heaton is a father of three. So if his daughter gets to become a princess, who knows what the hell he's going to have to pull to make the other two happy. But what does Emily, 7-year-old princess have to say about all this? "It's cool," said Emily, who sleeps in a custom-made castle bed fit for royalty.